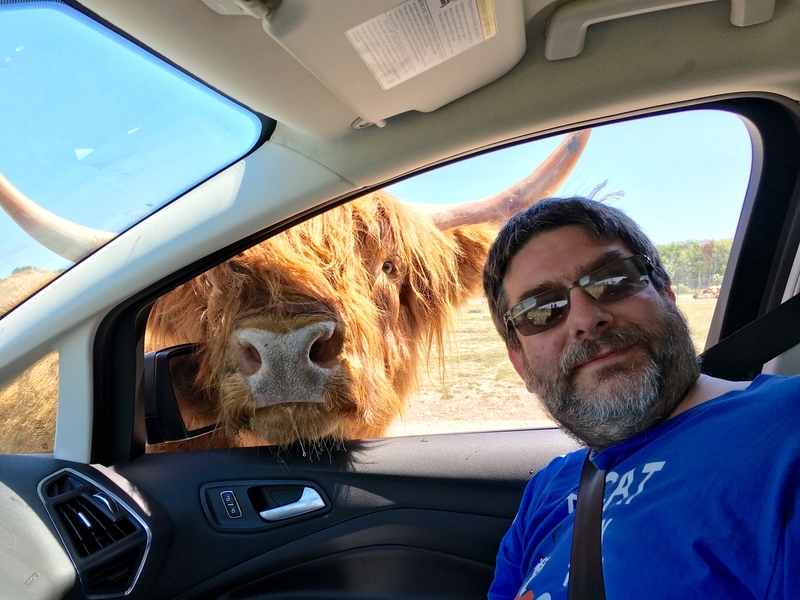 None of the nearby Atlas Obscura spots this morning were universally enticing, so we went to African Safari Wildlife Park in Port Clinton, Ohio. These two posed for pictures. 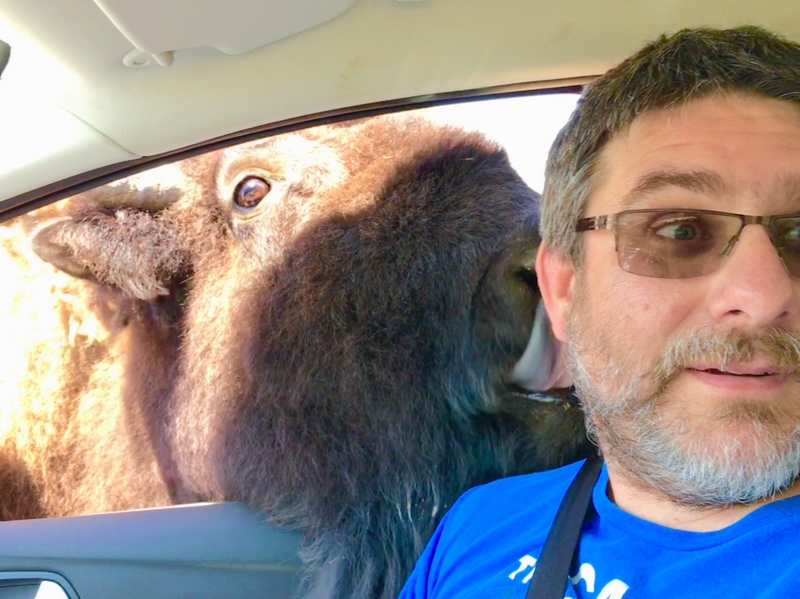 The bison gave me a nice lick. Alex verdict: Too many animals. Brandy verdict: They have no manners. Sam verdict: They wanted to get in the car.